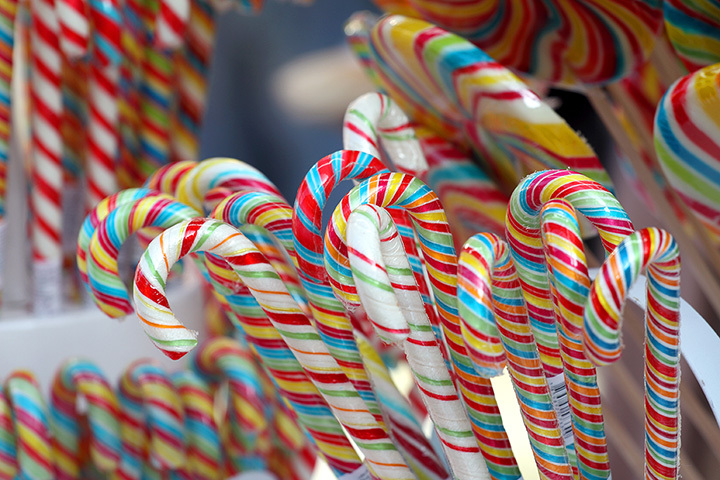 The 10 Best Candy Shops in Arkansas! You don’t need to be a candy maker to know that the colorful candy shops in Arkansas are steeped in long-held traditions and flavorful family recipes. You may feel like a kid in a candy store when you visit these 10 great shops in Arkansas! Fine chocolate and confections have been a tasty tradition at Kopper Kettle Candies for more than four generations. Since 1925 this Crawford County landmark has been using only the highest quality of ingredients in their time-tested formulas. Do yourself a favor and take a trip to this Kopper Kettle candy shop, where they are chocolate lovers just like you. This candy shop will become your favorite stop! Martin Greer’s Candies is a multi-generational family-owned business nestled in the beautiful Ozark Mountains. Armed with recipes dating back to the Civil War, the candies at this world-famous shop are lovingly made in the old-world tradition. The folks at Keller’s have been making homemade, old-fashioned candy for over three generations. Keller’s Candies makers are so sure that their treats will be “the best memory you ever tasted” that they offer a 100 percent money back or product replacement guarantee. Ozark Candies and Nuts has been sweetening up the North Little Rock community since it began business in 2000. With good reason, this candy shop takes great pride in their delicious candied and spiced confections. Ozark Candies and Nuts has really made a name for itself with their “We’re Nuts!” brand which retails at Sam’s Club road shows across the nation. This candy shop is located in The Heights Neighborhood, one of the most affluent areas in Little Rock, and open seven days a week. There are few things that Sweet Candy & Gifts enjoys more than sweet, locally-made treats and both supporting and promoting fellow local small business owners. Sweet’s Fudge Kitchen is committed to offering their high-quality, homemade, hand-dipped chocolates from their original location in historic Eureka Springs, where they have been “making life sweeter since 1969.” In addition to their popular chocolates, you’ll also find a large selection of fudge, candy, and old-fashioned salt water taffy. Claiming to produce the best nut brittle in Arkansas, Juanita’s Candy Kitchen has been the pride of Arkadelphia since 1974. If you’re one of those folks who think you don’t like brittle, you may just change your mind after trying one of Juanita’s three varieties: Peanut, cashew, and pecan. The locals rave about this “old time” style candy stop in Paragould. The Chocolate Choo Choo features a lot of different candies that you probably haven’t seen for quite some time. And not just that, but they have some delicious fudge to offer you as well. Natalie’s Candy Jar is a chain of self-serve candy stores featuring over 400 varieties of unique candies. The Central Arkansas community can indulge their sweet tooth at Natalie’s popular shop inside of Little Rock’s Park Plaza Mall. Candy lovers from young to old will be left with a smile on their face after a trip to this candy shop. This is THE place to quench your soda pop and candy cravings. While not exclusive to Arkansas, the Rocket Fizz Soda Pop & Candy Shop has made a name for itself in Conway. Rocket Fizz features a wide variety of candies as well as producing its own line of uniquely-flavored soft drinks.